Ever been helped by a Park Ranger? Or been to an interpretive program where you learned something new and perhaps amazing from a Park Ranger? Or have a great memory in a Florida State Park because of the hard work of Park Rangers? If you answered yes to any of those questions, then here’s an opportunity for you to "Pay it Forward" and help a Park Ranger. These hard-working, khaki-collar public servants sometimes experience financial hardship and need help. These stewards are the heart of the Florida Park Service, working at modest wages and dedicated to maintaining, interpreting, and preserving the natural resources for the enjoyment of all visitors. 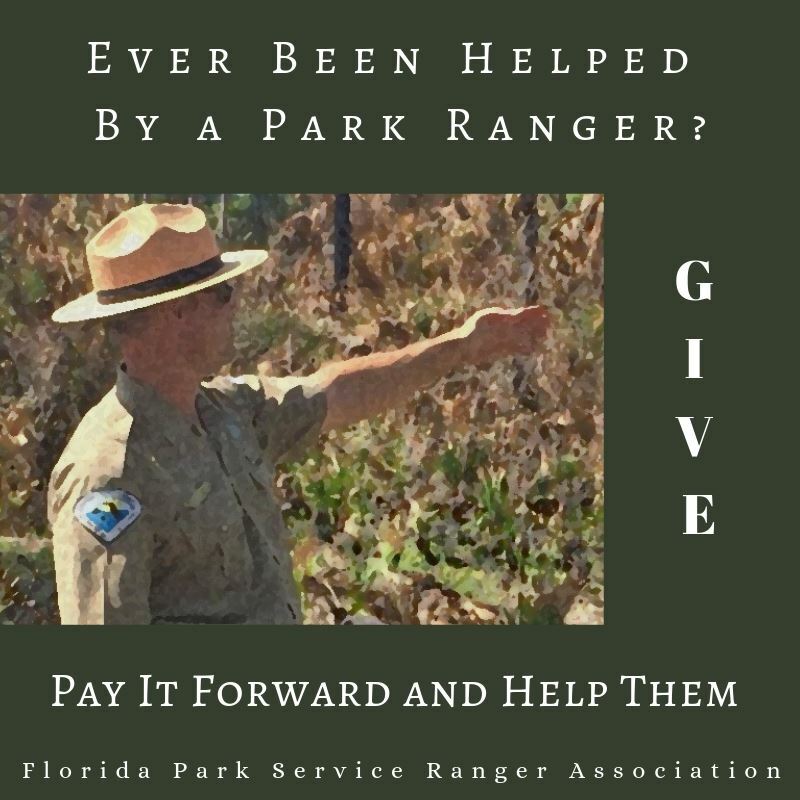 GIVE to the James Cook Humanitarian Relief Fund, the Florida Park Service Family Fun Day, or a general unrestricted donation to the Florida Park Service Ranger Association.